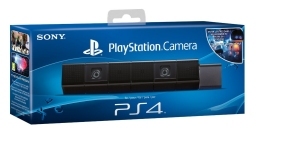 Friday 26 Apr - Latest - The PlayStation 4 Camera is currently in good supply throughout the UK. The PS4 camera allows you to see, listen and shout at your friends/rivals whilst interacting with your PlayStation 4 console. The two lenses enable the camera to see an 85 degree field of view and can accurately track the DualShock 4 controller's Light Bar allowing for a greater immersive game play experience. Easily placed below or above your television the camera will instantly recognise you via facial recognition technology and allow your voice commands to control the user interface and interact verbally during gaming. We constantly check for PS4 Camera stock, so you don't have to. Receive email alerts when PS4 Camera online stock is found.